Iris Gracilipes is a grassy ornamental plant, a sampling of a Dwarf Crested Iris. The plant produces many small lilac-blue or mauve coloured flowers. This perennial plant with showy flowers is easy to grow in home gardens. Iris Gracilipes grows in a smaller rounded clump and because of its foliage, reminds me of a miniature daylily. This plant is ideal for the rock garden and woodlands but is difficult to grow compared to the crested roof iris – Iris Tectorum. 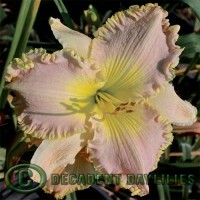 Both species of the Evansia Iris are grown for the beautiful blooms. The plant forms the ground hugging groundcover and grows only about 10-15 cm in height. It is a native of Japan and found mainly on wooded, rocky mountain slopes and forest edges. They can withstand salty winds and grows well in seaside areas away from frosty atmospheres. These Irises can withstand snow to a certain extent. They can also be grown in flat pots. The flowers are produced from October to November in Australia. The foliage of the plant is sword-like and the flowers have a complex structure. The leaves grow about 12 inches long. The three outer segments are falls or sepals and the three inner standard segments are petals. The Iris Gracilipes are Crested Irises with lilac flowers that have violet coloured veins on the falls and yellow tipped crest. The fine rhizomes are the same style and shape as my winter iris Unguicularis. The plant blooms during the late spring and in early summer. These Irises grow well in rich and moist soil. Though the plant needs a good amount of sunlight to grow to their full potential, they can thrive in less sunlight also. The plants may not flower as heavily when they are planted in shady areas. They bloom to its full capacity in full light. The plant requires average moisture during the growing season. Make sure that you do not over water the plants. Providing three-inch layer mulch during planting improves soil moisture and helps in optimal and faster growth. You can plant the bulbs of Iris Gracilipes in soil amended with blood and bone fertiliser or compost. Place the Iris bulb upright in the planting hole. Cover the bulbs or rhizomes with a thin layer of soil. Make sure that you maintain even spacing so that the plant can have enough space to spread. When grown in flat pans, you can plant more than 10 rhizomes or bulbs in a pan to make it as the focal point of any special place in your home. Plant the bulbs, outdoor only when the soil is warm and the temperature at night time is above the freezing point. If transplanting this Crested Iris, make sure that the there are no chances of frost as they cannot withstand frost conditions. The planting can be done during spring or Autumn. How to Care for Iris Gracilipes? Once established, it is easy to take care and maintain the plant. They can last for 3-4 years if taken care properly. Though all the plant needs is fertile soil and moisture in the soil to grow and flower. The plant clumps needs division every 3-4 years to prevent overcrowding of the plants. The division of the rhizome is also the ideal way to propagate the plant. The ideal time to divide the plant is during the autumn when the foliage develops a yellow colour. These plants can be used as borders in your garden or as a groundcover.